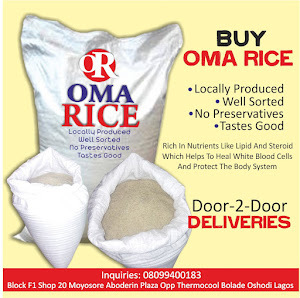 Hunger and poverty may soon be a thing of history in Africa, courtesy the Green Innovation Center, which was inaugurated at AfricaRice in Benin early this month; NaijaAgroNet reports. The centre aims to boost agricultural productivity, increase the incomes of smallholder farmers and create job opportunities, particularly for youth and women in African countries namely: Benin, Burkina Faso, Cameroon, Ethiopia, Ghana, Kenya, Malawi, Mali, Nigeria, Togo, Tunisia and Zambia. 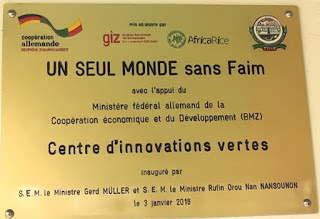 The Green Innovation Center is supported by the Federal German Ministry for Economic Cooperation and Development (BMZ), in partnership with other institutions such as Benin Ministry of Agriculture, Livestock and Fisheries, and AfricaRice. BMZ has given 2.7 million euros (almost US$3 million) to AfricaRice to implement the centre’s activities in 2016 and 2017, according to Bernard Marc Winfried, a knowledge management specialist at AfricaRice. He also said that in Benin the initiative would facilitate the exchange of knowledge and interaction between researchers and development experts in 17 communities, stressing that the centre will strengthen the agricultural innovation system by promoting partnerships and developing an operational framework for innovation. Minister for BMZ Gerd Müller, said during the inauguration that agriculture does not only need water and fertiliser but also needs knowledge and innovation.